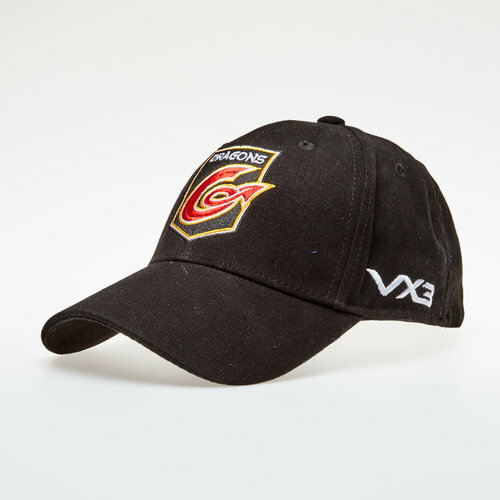 Cheer on the Dragons in the Guinness Pro 14 with their 18/19 Baseball Cap from VX3. The Dragons have a partnership for their kit and training attire with VX-3. Dragons are one of the four professional rugby union regional teams in Wales. They play in the Pro14 league, the Anglo-Welsh Cup and the European Rugby Champions Cup/European Rugby Challenge Cup. Coming in a stylish black colourway, as with any VX-3 product, the logo is on the side. 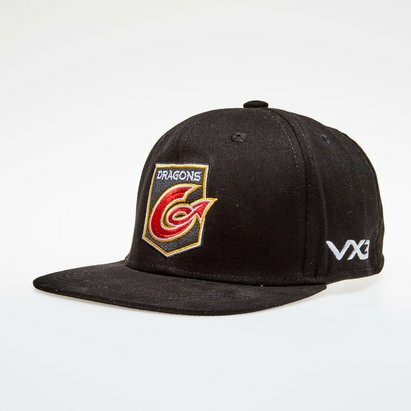 The Dragons team badge is embroidered on the front.